Josh Eichorn: Has decided his last name is not difficult enough to spell and is determinded to do something about it, damn it. PowerHouse walks down the street with the now fully costumed Flash Mercury toward a Vicious Circle stronghold and discuss their future. PowerHouse sees a kinship with his new ally as both of their appearances causes it be difficult for them to gain the respect of their peers within the freak community. Their conversation is interrupted when an explosion rocks their intended destination. The duo race inside where they find a number of second generation members of the Vicious Circle. PowerHouse notes that the OverLord suit seems to have been used to create the weapon that OpenFace Jr. is wielding. He then introduces Flash to the youngsters but none of them are remotely interested in talking to him and they all walk away. Disappointed by their dismissal at the hands of young freaks, PowerHouse and Flash are not granted long to compose themselves when a former member of the Rats comes bursting through the wall. The pair race outside where they discover other former Rats fighting alongside several Vicious Circle regulars against The Claw. The monstrous villain tests the might of the criminal organization and finds them wanting. PowerHouse joins the fray but is swiftly defeated, followed soon after by Flash. The Claw is thoroughly unimpressed with the Vicious Circle and warns the terrified Thunder-Head to halt his protests against this violence of suffer a similar fate. 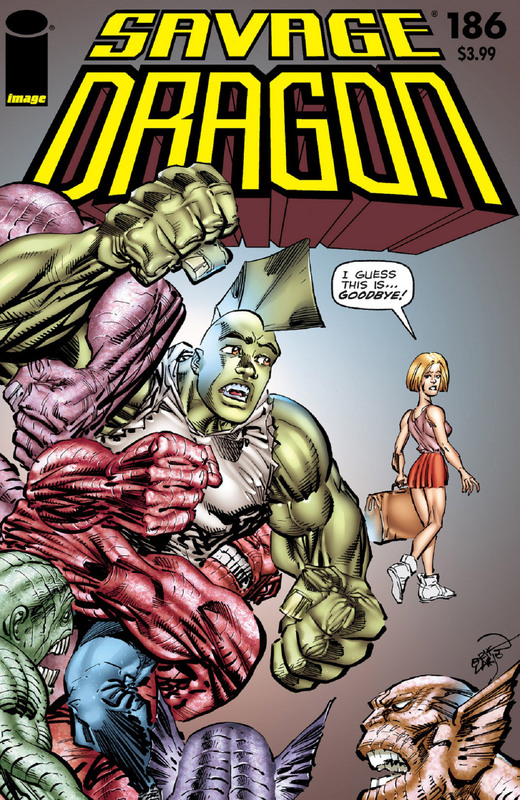 Battle Girl pays a visit to her father in prison where she informs him that she is soon leaving town to sign up with the Special Operations Strikeforce. She will be moving for Washington, DC where SuperPatriot and others will help her train to become the kind of hero that she has always dreamed of becoming. Dragon is concerned that recent setbacks are causing Angel to make a rash decision but she feels a fresh start is for the best. As the school day ends, Maxine Jung Lai waits outside for her boyfriend for them to go on their date. She informs Malcolm Dragon that her friends have been mocking her over dating a boy still in High School. Maxine is not bothered by these taunts though as none of her friends have boyfriends currently anyway. The young couple then head off to get ready to see GI Joe: Retaliation and Malcolm suggests that they invite Angel as she leaves the next day. Many millions of miles away on Kalyptus, the gigantic spaceship of the Krylan race lies in flames on the planet’s surface. The peace-loving alien race lies brutally massacred all over the planet as vessels belonging to the Tyrrus Combine hover in the skies above. The Tyrraneans slaughter the Krylan people with corpses strewn everywhere. Emperor Krull has been torn apart and suffered a tremendous head wound as his people lie dead around him. Daredevil returns home to the club house where he lives with the Little Wise Guys who inform their guardian that his arch-enemy The Claw has returned from the dead. The aforementioned resurrected villain stands tearing out the guts of a fallen Vicious Circle member. Thunder-Head tries to inform his master that the world has changed since his death and that Chicago alone has heroes that will oppose him. His mention of Daredevil immediately draws the attention of The Claw who wants revenge upon his nemesis. Malcolm and Angel get called in for one last mission together by Captain Stewart as The Claw’s assault upon the Vicious Circle stronghold continues. Malcolm cannot believe that from now on he will be heading into battle all alone from now on. The young heroes arrive on the scene in time to witness Daredevil leaping into action against The Claw. The trio do their best against the size-shifting villain. Thunder-Head approaches Malcolm and warns him that the best thing he could do is retreat and return with reinforcements as they alone cannot hope to win. When Angel is blasted by The Claw’s optic beams, Daredevil abandons the fight to care for her. This causes The Claw to break off his assault as he plans for his conquest of the entire world. Thunder-Head attempts to flee but he is gathered up by his unwanted master and they depart. Daredevil and Angel embrace with a passionate kiss but then Angel announces that she will soon be leaving. This news devastates Daredevil as they have only just found one another at last but Angel will not change her mind. She then gives Malcolm a hug before walking away from her two close friends to start a new life elsewhere. Zeek finishes up his latest burger at the Rock House Diner, unaware that a shadowy figure is watching him closely from a booth. As Zeek departs, he bids farewell to Widow who wonders what has happened to the customer that had been sat in the booth. Zeek is approached from behind by the figure who casts off his disguise to reveal his identity. Absorbing Junior grabs a hold of Zeek and instantaneously absorbs Zeek’s strength. Absorbing Junior declares his intention to use his newly stolen strength in order to conquer the entire planet. 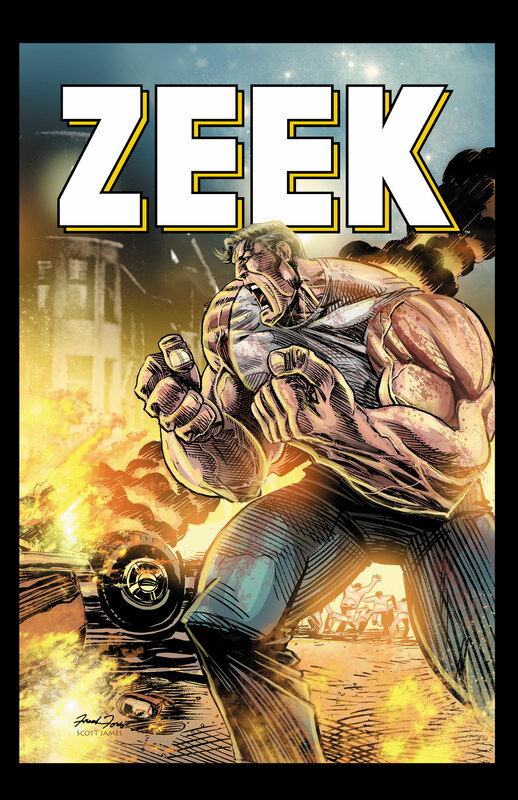 The villain repeatedly beats down Zeek with his own might to make him an easier captive to carry around. Absorbing Junior suddenly gets a face covered with webbing as Widow arrives to protect her friend. With his vision obscured, Rock then enters the fray by tackling Absorbing Junior and knocking Zeek from him. The residual energy stolen from Zeek should still be enough for Absorbing Junior to finish off his opponents before he retakes possession of his new power source.